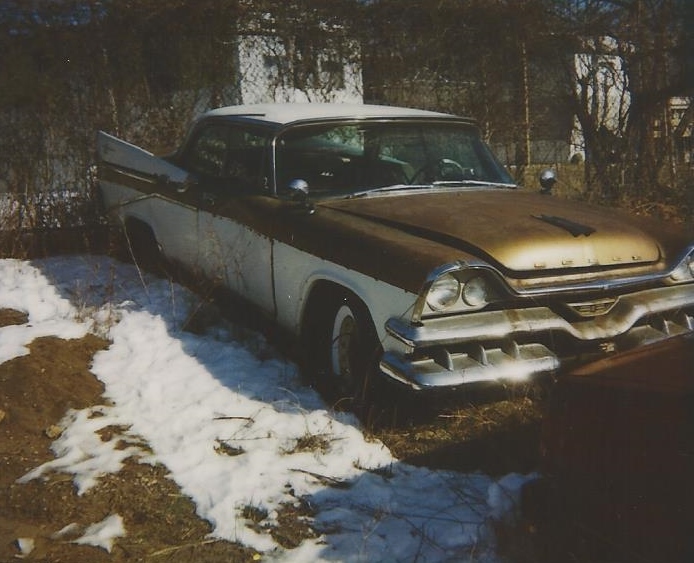 I am looking at this car, 57 Custom Royal Lancer 4 door hardtop, has D500 badge on the trunk, engine is gone, lots of numbers on the data tag, any help is appreciated. You're missing the 372 D500 engine code but YIKES!! you have the 491 = Super D500 (2 x 4bbl) code !!!!. Where's the engine? Your car was schedule to be built on March 27, 1957. 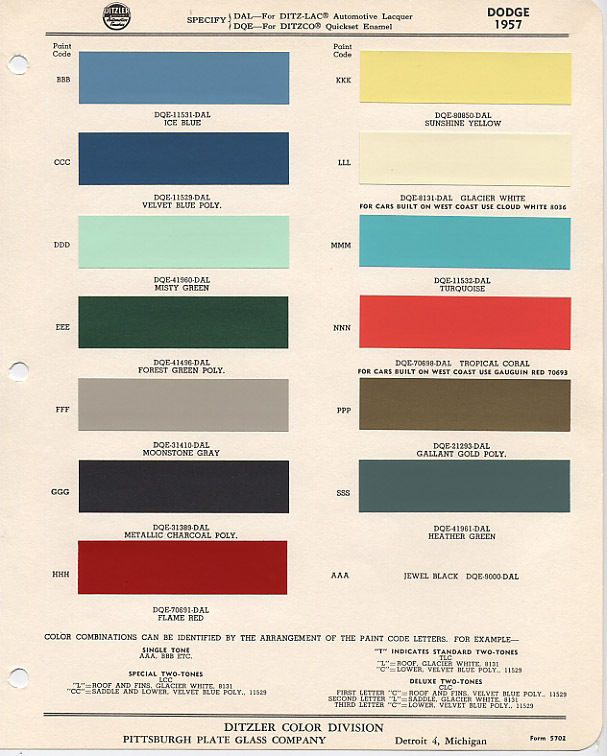 The PaiNT 4LPL implies two tone white and Gallant Gold. Location: Lower Mainland BC Is this your car? Location: Arvada, Colorado (NW Denver Metro Area) On the accessory groups listed above on the IBM card Key of Neil's and Greg's, does anyone have a further breakdown on what the different accessory groups would contain option wise within that accessory Group? On my 59 Plymouth Convert, I have the 59 Plymouth salesman pocket guide which spelled out what was in the groups, does the 57 Dodge have one of these guide books? Hi Milton. I'm Greg Leggatt, a voice from the past!! The body plate indicates, CR 4 Dr. HT with an optional engine. Either D500 or Super D. Only the punch card will tell. Paint, trim and build date are obvious. It is coded as Torqueflite, undercoat, shipped to the dealer by truck, power brakes, solex w/s and accessory groups 1,3 and 5. The punch card is needed for any other options. Accessory group 1. Basic Accessory Group: Heater/defroster, backup lights, left outside mirror and day/nite interior mirror. Accessory group 2. Radio group: All items above plus Musicmaster radio. Accessory group 3. Convenience Group: Handbrake warning light, map and glovebox lights, variable speed wipers, windshield washer, vanity mirror and airfoam rear seat. Accessory group 4. Appearance group: Stone shields, plastic steering wheel and standard wheel covers. Accessory group 5. Deluxe appearance group: All items above but with spinner wheel covers. Others asked for the contents of the groups so I included them. Dave. 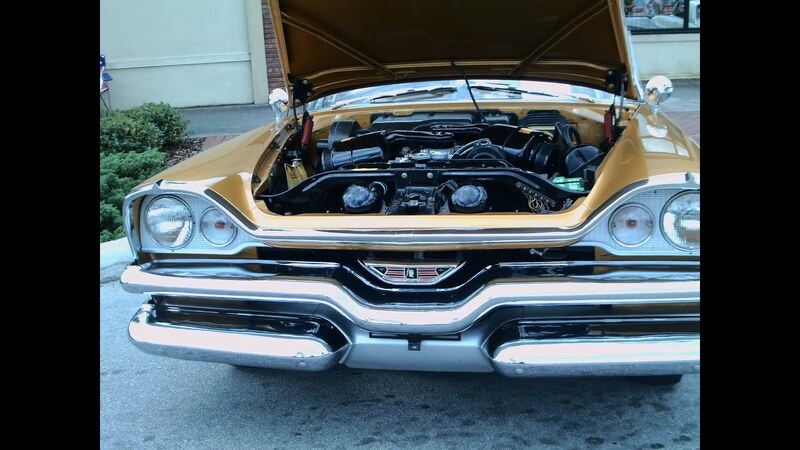 As I mentioned before, the vertical read codes on a 57 Dodge only body plate are not sales codes. The sales codes are all listed on the broadcast sheet and they are what are used on the punch cards. It is only the last digit of the vertical code that relates to the actual sales code. For example, your vertical code 491 refers to sales code 331 which is accessory group 1. Hi Greg, I was just thinking about the Early Hemi Association the other day. 30 years later found an actual D500. And where besides the back of the glovebox and under the seats would one locate a punch card? Location: Ontario, Canada The punch card has to come from FCA. Someone here can give you the info to get a copy of your car. Good luck with your hunt! Yeah, it has been at least 30 years! I am brand new to this forum but have learned a ton about my "new" car I just got. A 1957 Dodge Royal. I am trying to decipher the body codes and saw this posting. Did anyone ever find an accessories brochure? I literally just got my title sent off for today and once I receive it with my name on it I will write to Chrysler Historical to get my punch card. I guess my question is still is there anyplace here that shows the accessories brochure for 1957?